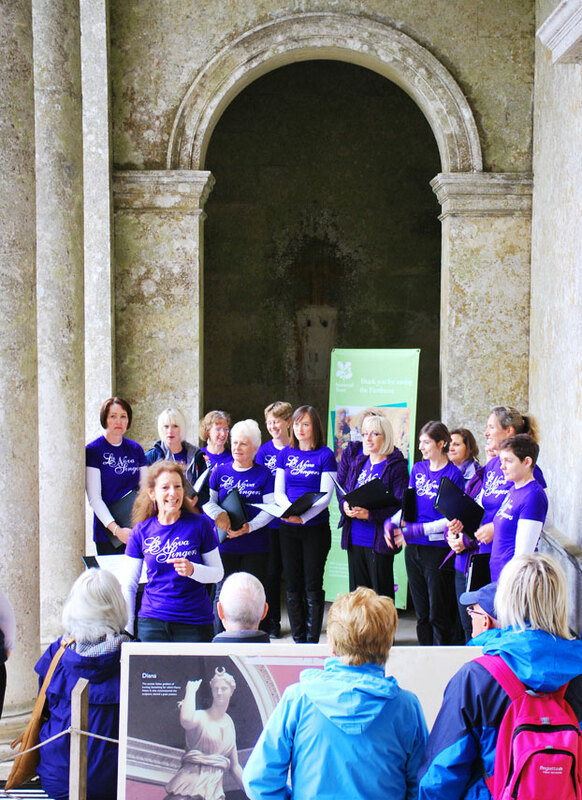 Stourhead Festival of the Voice 2013 – La Nova Singers… Blog! 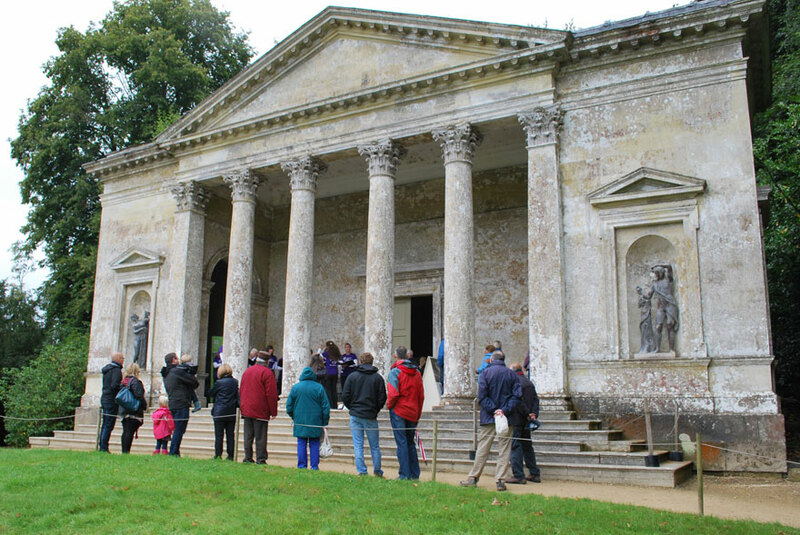 The Pantheon at Stourhead is a fantastically beautiful place to perform, and the view across the lake is gorgeous – whatever the weather. This year’s Festival of the Voice unluckily coincided with storm warnings and threats of a deluge – but some amazingly optimistic souls were there to hear us, with the reward of a window in the weather as well as our singing! The circular, marble-lined temple interior was, however, a temptation – particularly to test out the acoustics, which were lovely (although it was a challenge to our bel canto technique to keep the volume low enough for a smallish, stone-lined space). 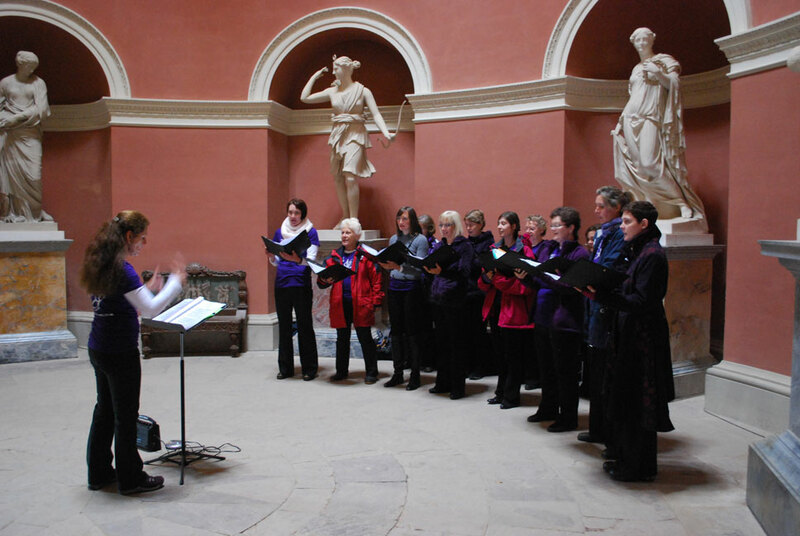 It was a bit like singing inside a piece of Wedgwood pottery…! A curious rebound made it sound disconcertingly, to those of us second sopranos and altos, as if the first sopranos had swapped sides. Nevertheless it was very rewarding to sing the Saint Saens ‘Ave Maria’ in such a lovely setting. – Today’s blog post is brought to you by our Treasurer and Second Soprano, Virginia. 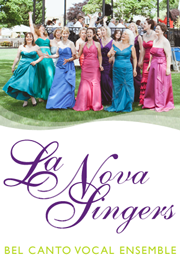 Pingback: La Nova Singers at Stourhead – Through the Years | La Nova Singers... Blog!